I had a parent of my daughter’s friend ask me the other day why we do so much testing with kids. To be honest, I feel we over test our students. Not just at my school, but at all schools. And we can’t hold schools accountable for the amount of testing they do: it’s the result of district mandates, which often come from the state, which is responding to federal laws and regulations. It’s obviously a very complex situation that no single teacher or school can control. That notwithstanding, this parent asked me why we couldn’t just have a platform that monitored the kids work as they did it; why there was any need for assessments or tests at all. I smiled and said I was using just such a platform with my students and went on to describe the benefits of ScootPad practices. However, as much as I love ScootPad practices, and as much as I really am not at all a fan of testing, testing, testing, I do also believe there needs to be some formalized assessments. Not ones that replace the results and achievements students accomplish in their day-to-day efforts, but ones that actually inform a different kind of learning, or possible struggle. That is to say, I have students who perform amazing on in-class work, assignments, and practices and yet struggle on assessments. This is important information for me to have. Similarly, if students are lackadaisical in class and then hit it out-of-the-park on an assessment, there is also important information for me to look at there as well. Demonstrating knowledge in more high stakes or pressured environments is an important component of growth and an important demonstration of knowledge. If my students are not able to successfully do this, especially if they are so competent in class, there is some discovery work for me to do. 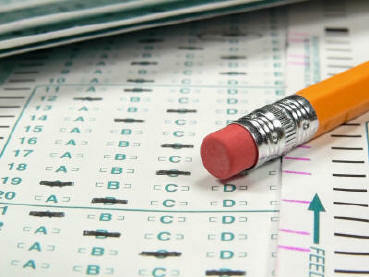 So where am I on standardized tests? I think they serve an important function and provide useful information. But I also agree with this parent: there is a way to do that through a program like ScootPad. ScootPad can be used not only to track practices, but also to track long term learning and give formalized assessments. This allows the same important information to be learned, without losing weeks or months to testing that comes at a much greater cost. What are your thoughts on the amount of testing we give kids… and what other options may exist to keep it better balanced? Back-To-School: Setup ScootPad For The New School Year!